In the wake of the beautiful solar eclipse photos and reports from the 13th, the Sun was putting on spectacular shows in both hydrogen alpha and white light along with several M-class flares and auroral activity for the Northerners. Living in Texas, I missed out on both the eclipse and the Northern Lights but the views from my backyard through my solar filters gave me an appreciative fix regardless. The first sketch below of the chromosphere was rendered at the eyepiece while using a dedicated hydrogen alpha telescope, an internally double-stacked Coronado Maxscope Ha 60mm that has a very narrow bandwidth of close to 0.45A. The amount of disk detail that can be seen with this telescope is very high and contrasty. 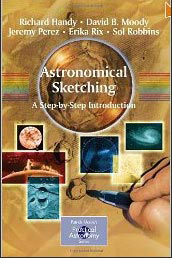 In the sketch below, you can see several active regions across the disk with brightened plage, sunspots within the plage, filaments and prominences (which are filaments that reach over the limb). Visually, I could see a mottling appearance from the chromospheric network. Hydrogen alpha sketch created with black Strathmore Artagain paper, white Conte’ crayon and pencil, white Prang pencil, black oil pencil, charcoal pencil. 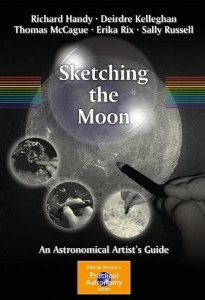 The following sketch of the photosphere was created at the eyepiece using a glass white light filter in front of the objective lens of a refractor. 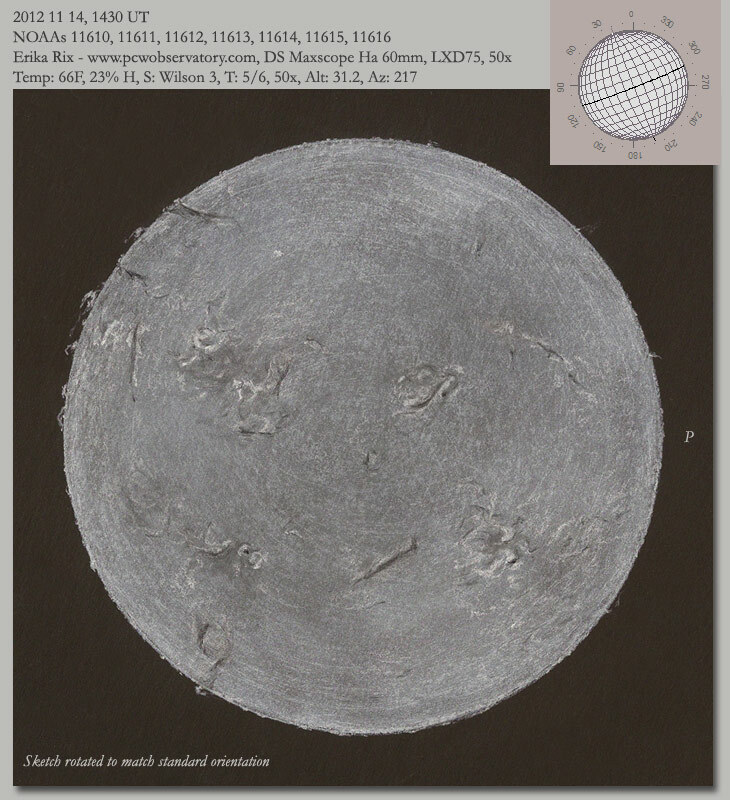 Features rendered in this sketch are faculae to the 9 o’clock position of the disk, sunspots, and limb darkening. 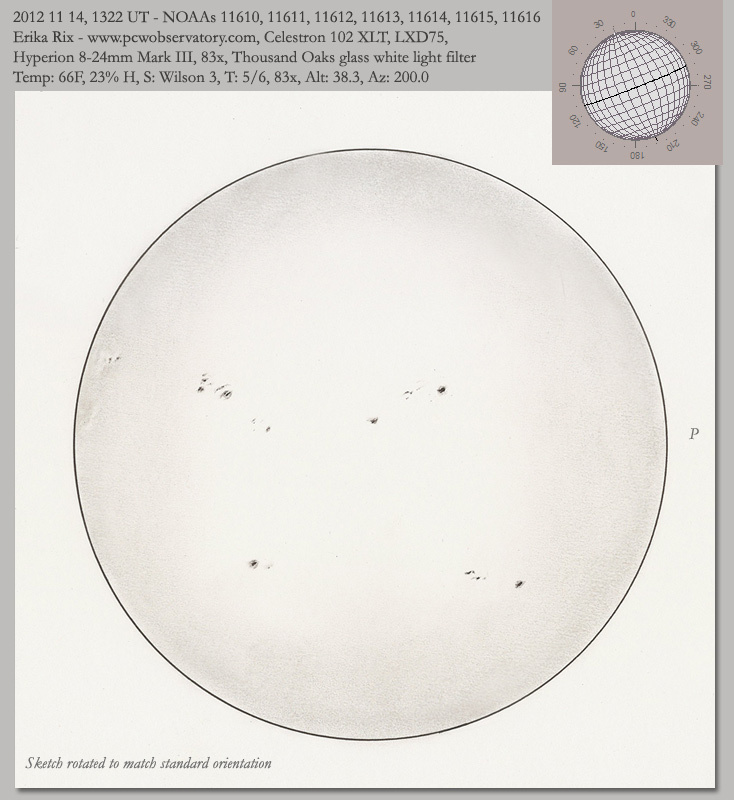 Visually, and as shown in this sketch, you can expect to see more detail within the sunspots while viewing in white light than you can in h-alpha. Note that most of the sunspots have both penumbrae and umbrae. When seeing conditions are above average, you may see granulation in white light. White light sketch created at the eyepiece with white card stock, felt-tipped black artist pen, charcoal pencil, black oil-based pencil. 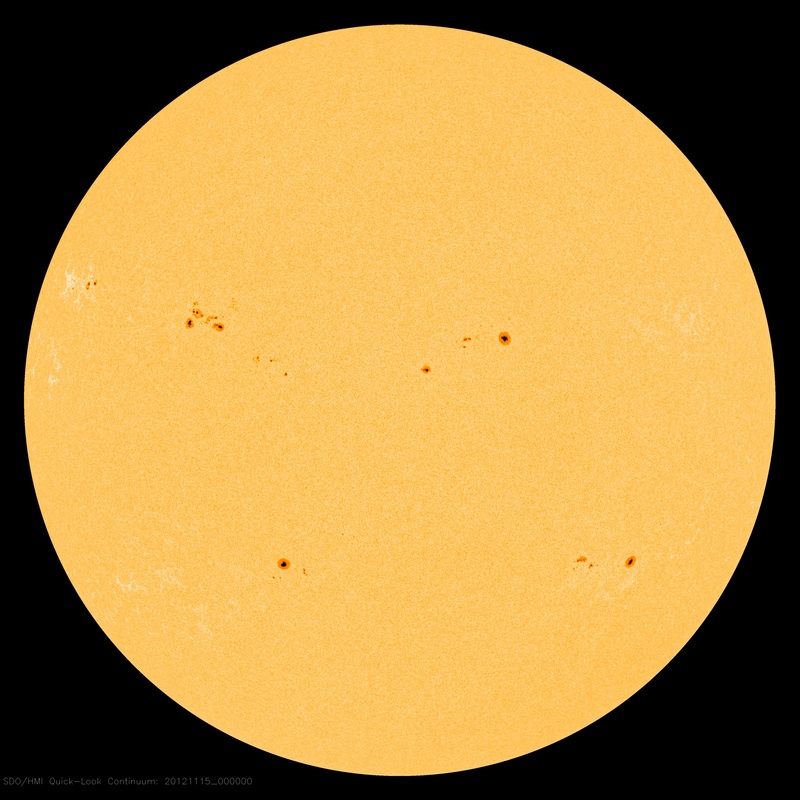 Blow is a comparison with an SDO image of the Sun’s photosphere taken within 24 hours of my observation. ~ by Erika Rix on November 23, 2012.